A fall staple in any wardrobe! Merino Wool will provide an additional layer of warmth and style! Women's Extra Fine Merino V Neck Cardigan- Dark Brown Size L (more info) — only 2 left! 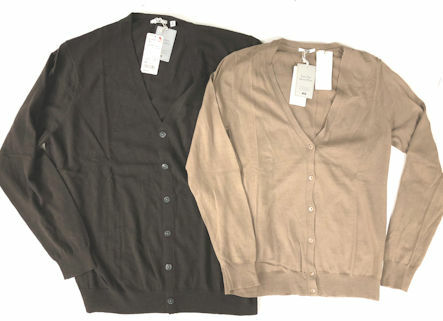 Women's Extra Fine Merino V Neck Cardigan- Dark Brown Size XXL (more info) — SOLD OUT!